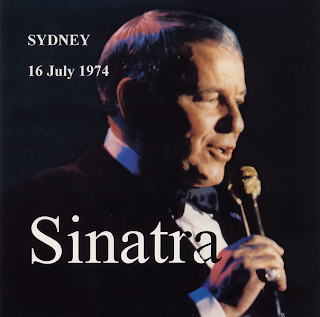 This is Frank Sinatra performing live in concert on the 16th July 1974, in Sydney Australia. Frank caused something of a stir on this tour (see comments). This was a busy year for him, he returned to to Las Vegas, performing at Caesars Palace in January, and then after the Australian tour, he appeared at New York City's Madison Square Garden in a televised concert that was later released as an album under the title The Main Event – Live. He then went on to tour in Europe. Genre: Traditional Pop, Jazz, Big Band Vocals.